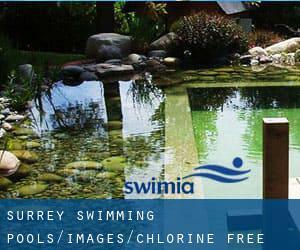 Looking for Chlorine Free Pools in Surrey? A number of of them belong to gyms or sport centers which also present lessons. Thanks to some new Swimming Pools submitted every day, Swimia.com is escalating day-to-day the number of stored pools. Please don't hesitate to contact us if you ever get any inaccurate or incomplete facts. Please check the nearest Chlorine Free Pools in Surrey or Contact us to ADD IT. It's no cost! Swimming is a sport for all ages. It assists young people to tone their muscles and grow healthy and strong. Please contact the facilities to check which activities are providing and their timetables. The most effective pools to swim are definitely indoor olympic pools. It's difficult to visit Surrey without dropping by Woking (with 103.932 residents). At present Swimia is showing you all of the Swimming Pool in Woking and the closest pools situated in its vicinity. Without a shadow of a doubt, swimming in Reigate will be the finest way to unwind soon after work. Take a couple of minutes to browse Swimia's catalog to find a Pool in Reigate. Swimming is often a excellent idea to help keep your body active throughout your visit to Guildford (Surrey), or even in case you are a local. Swimia helps you to locate your closest Pool in Guildford. Holding an estimated population of 52.392, Esher is one of the most important cities in Surrey. Check all of the Swimming Pool in Esher and its surrounding area. Dukes Drive , Charterhouse , Godalming , England , UNITED KINGDOM (Postal Code: GU7 2RS). Swimmers like you reported 25 meters x 13 meters, 6 lanes, Non-Chlorine Sanitized, Indoors. Phone number and email address are number for this Pool. Richard Meyjes Road , Guildford , England , UNITED KINGDOM (Postal Code: GU2 7AD). Swimmers like you reported Olympic size x 20 meters, 8 lanes, Non-Chlorine Sanitized, Indoors. Unfortunately we do not have the email address of this Swimming Pool, but we can give you the phone number.